EXPANDED MEDIA: Connecting to the Community Through Design. Professor Judy Livingston's junior-level Graphic Design Systems studio is currently working with Foodlink, the Rochester and Finger Lakes regional food hub. The project includes designing a new logo and a new visual identity system. As part of the project, the class designed a poster promoting the mission and vision of Foodlink. 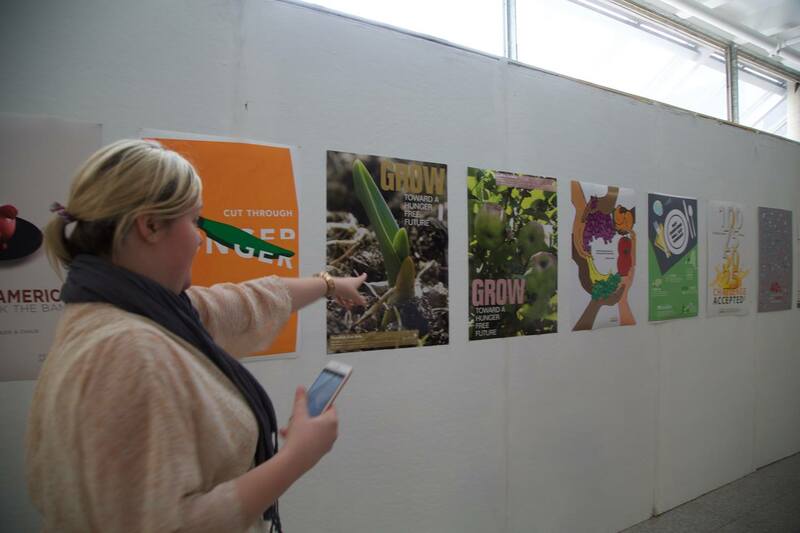 The poster project was shared with senior design students at Rowan University in Glassboro, New Jersey. 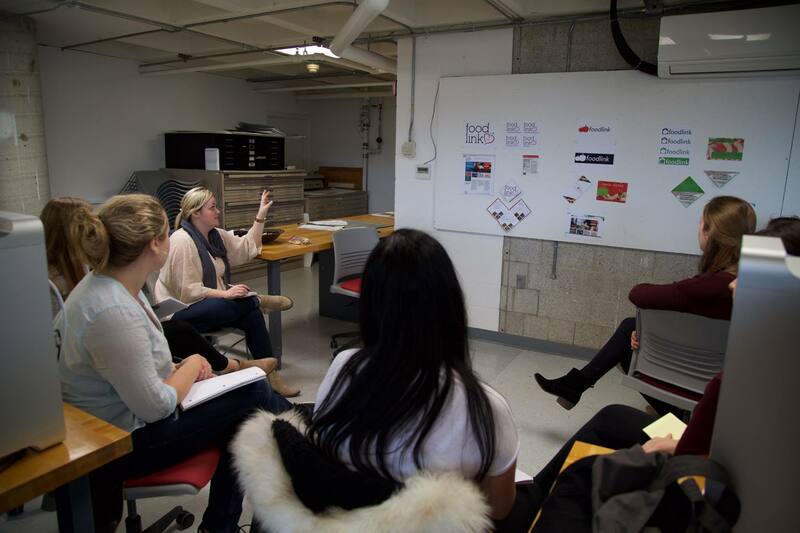 Design students presented their new Foodlink visual identity designs to Terra Keller, Chief of Staff, Foodlink. The visual identity systems include logos, packaging, website landing pages, brochures, and posters. 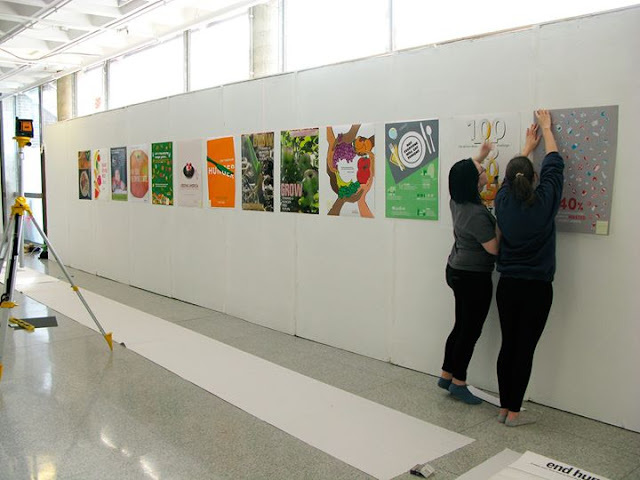 The posters, currently on view in the School of Art and Design lobby, will also be exhibited at Rowan University in the Fall.